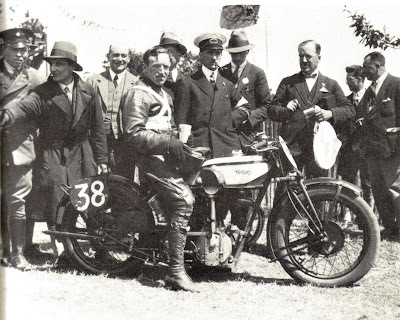 There are several photos in existence of Alec Bennett and the CS1 at the end of the 1927 TT. One has appeared on the blog already. The one above is the only one I have come across taken from the side, the others being mainly three quarter front views. As a result it is the only one where one can - just - pick out the jury-rigged rear brake anchorage with bolted on clips on the two lower rear stays. 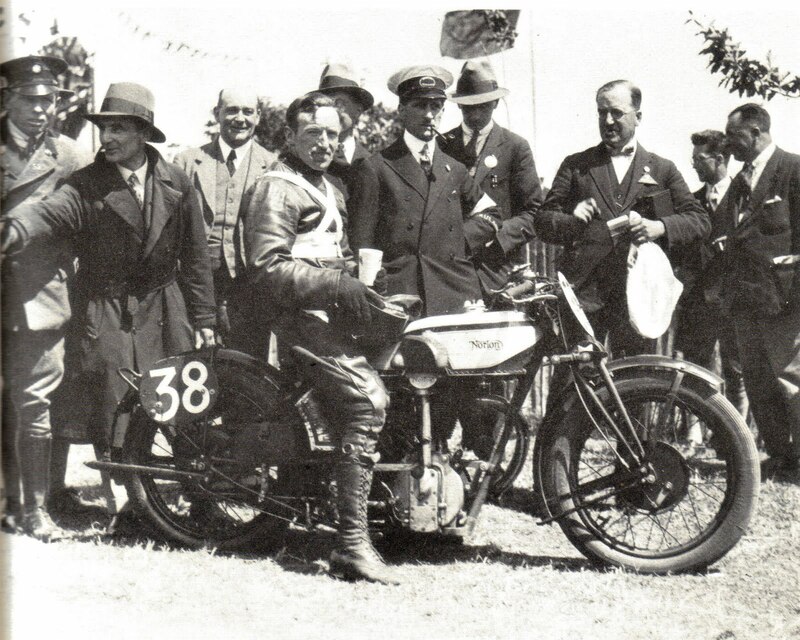 Graham Walker in his 'Seen from the Saddle' series originally published in Motor Cycling in the war years and now being re-printed in The Classic MotorCycle, mentioned that the 1927 works Nortons suffered from bent frames where the rear brake anchor was initially located and this was the solution to the problem.